Go Beyond Time & Space With SHOUT! Factory's Mirai Sentai Timeranger Release! It's time to equip your Chrono Changers and dash beyond time and space as SHOUT! 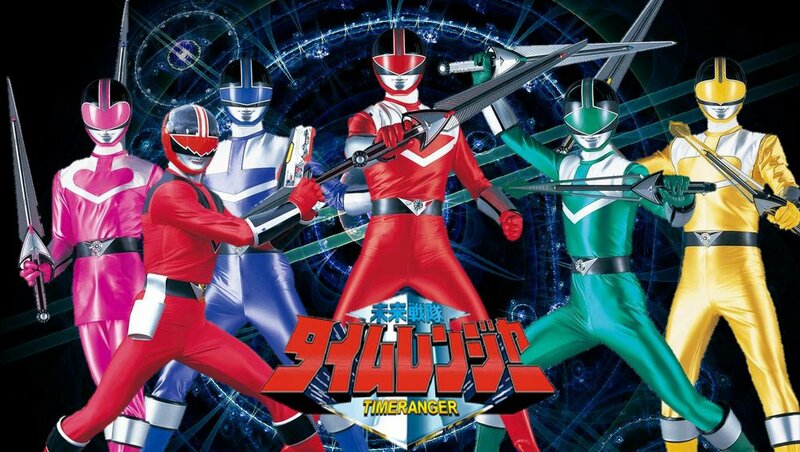 Factory finally confirms that they will be releasing the Mirai Sentai Timeranger DVD box set! Mirai Sentai (Future Task Force) Timeranger follows four time protection agents from the year 3000 travelling back in time, the year 2000, to capture escaped mutant fugitives. There they meet a man that will change their fates! The Mirai Sentai Timeranger DVD box set was listed in Amazon's product page. This is the 9th Super Sentai release from Shout factory and will retail for $56 and is set to be released on June 28th this year.